Christmas is certainly the most emotional time of the year. Families join together to be thankful for everything and everyone they have. 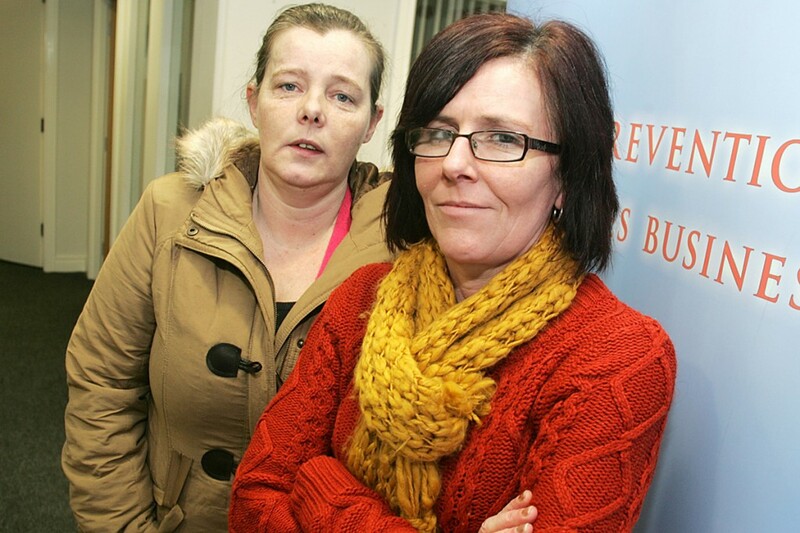 But for some people in North Belfast, Christmas is not a joyful time. Indeed, in an area touched by so much tragedy, it is inevitable that many do not look forward to the festive period as they cope with the loss of a loved one. Two local mothers, both of whom have been touched by the tragedy of suicide in recent years, have been telling the North Belfast News about their approach to Christmas and how they attempt to deal with no longer seeing their sons during what is such a joyful time for others. Carol McCartan lost her son Danny to suicide in April 2005. The death of the fun-loving 18-year-old hit the headlines after a specialist nurse in the Mater Hospital told the Ardoyne teenager he was only at low risk from suicide. A later report found Danny had “fell through the cracks” in the system. She says Christmas time is made all the harder for her and her family due to her late son being “a real Christmas person”. “My son absolutely loved Christmas. He always used to say it wasn’t Christmas until the Coke ads came on TV and now every time I see them on television around Christmas I think of him. “Danny’s birthday was on December 27, so it’s doubly worse. You go through Christmas without him and then a few days later you have to go through it all again. While the McCartan family didn’t celebrate at all their first Christmas without Danny, Carol said she has tried to learn to cope since then. “We just tried to get through it as best we could. It doesn’t get easier but you almost learn to live with it. You just do enough to deal with it and you have to do that in order to be able to go on because it’s very hard otherwise. “Every year we used to have a tree and the house was all decorated but now the tree goes up and that’s it. It’s an optic tree as well – I love a decorated tree but I couldn’t have one now because it reminds me too much of when Danny was here. Carol said the best advice she could give to others experiencing loss at Christmas time was to “just try and keep going”. “It’s a hard thing to do but it does help, especially if you have other family members there. Having others around you helps so much. Carol’s friend Kate Brown has also experienced loss, although in her case it was closer to Christmas. Her son Jimmy Joe Brown died on December 23, 2009, two weeks after he had turned 16 and four days after his mother found him unconscious on a comedown from taking ‘blue bomber’ drugs. The North Queen Street youngster was on a life-support machine in the Ulster Hospital, paralysed, deaf and blind in the days before his death and was the second tragedy to hit the family. Jimmy Joe’s uncle had taken his own life five years before. Speaking starkly about her plans for the festive period, Kate told the North Belfast News there is “no Christmas” any more for her. “It’s been two years since Jimmy Joe passed but it doesn’t get any easier for us. I first experienced suicide with my brother a few years before and it has never got easier so I don’t expect that to happen with Jimmy Joe either. She says she plans to just stay in bed on Christmas Day. “I’ve a daughter, son and three grandchildren and I know it’s not fair on them but I just can’t cope with it. Two of my grandkids were here when Jimmy Joe was and they remember him. “They put up a Christmas tree in their home and say it’s for Jimmy Joe. It’s nice they are doing stuff for him but I’d much rather he be here to experience it in person. Kate admits she is still not coping well with the loss of her son, a fact made worse by the onset of Christmas. “I don’t do it I know but I’d suggest people who have lost relatives get together with their family and friends and don’t be on their own. They should gather with them and remember their loved ones in order to try and get through Christmas. Suicide charity PIPS will be open for the Christmas period at their Duncairn Gardens premises. There will be a counsellor on site each day between 11am and 2pm. They can also be contacted on 90 805 850.